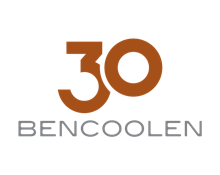 Set on a broad, tree-lined street in the heart of the arts and cultural district, 30 Bencoolen offers a cool, contemporary ambience in an ideal central location. You can relax in a warmly decorated room a short walk from top attractions in Singapore such as the landmark National Museum and Singapore Art Museum. Family rooms for up to 4 guests are available. You can enjoy casual all-day dining in our hip restaurant and gourmet coffees or chilled wines in the lounge bar. After a busy day, head up to the rooftop to unwind in the outdoor pool and spa tub. The hotel is a short stroll from 3 MRT stations. Bras Basah offers direct connections to Marina Bay’s striking, waterfront Esplanade – Theatres on the Bay, Suntec City Convention Centre and the Gardens by the Bay parks. Dhoby Ghaut sits near Plaza Singapura shopping centre, one of a host of upmarket malls on the famous Orchard Road shopping boulevard. Bencoolen station on Downtown Line 3 links directly to Singapore EXPO Convention and Exhibition Centre, which is one stop from Changi Airport Singapore (SIN). Discover places to visit with information at your fingertips using our complimentary high-speed WIFI. WhatsApp connectivity allows you to easily ask the hotel for advice or place orders 24/7, when you’re out. Our in-house HotSOS maintenance monitoring system lets us know if something in your room needs fixing, often even before you’ve noticed it. Decorated in warm grey tones, welcoming rooms come with stylish furnishings and dark natural wood features. Some have spacious furnished balconies, while our family rooms are among the best in Singapore. Reliable, high-speed WiFi is complimentary and can help keep the kids happy while you check your email at the large desk. Business guests are a 16-minute walk from Suntec Singapore Convention & Exhibition Centre. At the hotel, you can host events in 6 stylish function rooms equipped with state-of-the-art presentation facilities. After a day of meetings or sightseeing, re-energise with a workout in the fully equipped gym or relax in the rooftop pool and hot tub. Later, enjoy a drink overlooking the pedestrian walkways and cycle paths of leafy Bencoolen Street.